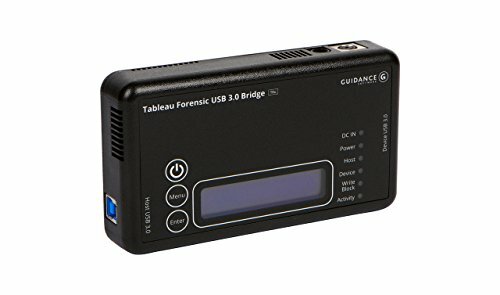 The T8u is the first Tableau Portable Family forensic bridge that supports write-blocked imaging of USB 3.0 devices through a SuperSpeedTM USB 3.0 host computer connection. T8u's powerful combination of a new, high-performing product architecture and USB 3.0 technology provide the speed you need to image USB 3.0 flash drives, multi-terabyte hard drives, or all USB 2.0/1.1 drives conforming to the mass storage "bulk-only" specification. Using controlled, real-world configurations and modern forensic imaging software, we've measured forensic data transfer with the T8u in excess of 300 MB/second (while simultaneously calculating MD5 and SHA-1 hashes). 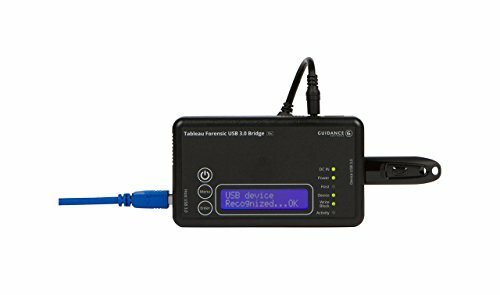 No other USB write-blocker can match the T8u's forensic performance and value. If you have any questions about this product by Tableau, contact us by completing and submitting the form below. If you are looking for a specif part number, please include it with your message.